Last night I hosted a couple of The Joyful Oilers and a few of their friends for a ladies’ night in featuring chocolate, wine and the best essential oils on Earth. We had ladies from Oceanside, Vista, Carlsbad, La Jolla and the greater San Diego area. It was a delight for the senses. We had the diffuser going and we had a variety of organic wines to choose from. I sipped on red wine infused with Lime Vitality and Orange Vitality essential oils, which made for a tasty sangria like beverage. I baked Peppermint Vitality infused brownies and organic, gluten free, dairy free chocolate chip cookies. The cookies were also grain free and vegan, but you’d never know it. I made a yummy cheesecake dip infused with Lemon Vitality essential oil for our organic fruit, and of course we had a cheese platter. There were many chocolates to choose from, and we had some savory snacks to break up all of the sweetness. It was a super yummy night. We talked about why we choose Young Living essential oils over all the other brands on the market, because of their Seed to Seal guarantee, the fact that they own their own organic farms and their transparency. We talked about how the FDA treats essential oils as “fragrance” under the larger umbrella of “cosmetics” so even essential oils labeled as USDA organic can contain ingredients other than essential oils and they don’t have to disclose it. Oils sold as “fragrance” are exempt under the Fair Packaging and Labeling Act (FPLA) because “This law is not allowed to be used to force a company to tell ‘trade secrets.’ Fragrance and flavor formulas are complex mixtures of many different natural and synthetic chemical ingredients, and they are the kinds of cosmetic components that are most likely to be ‘trade secrets.’” This is why it is so important to know and trust your source, especially if you intend to use these products on your body or in your food. Please, please, PLEASE do not ingest essential oils you buy at the store. In fact, most oils you buy at the store (even “organic” ones) will say right on the label “NOT FOR INTERNAL USE” and this is because they are sold as fragrance. Young Living is the only company to have a line of essential oils made specifically for ingestion. 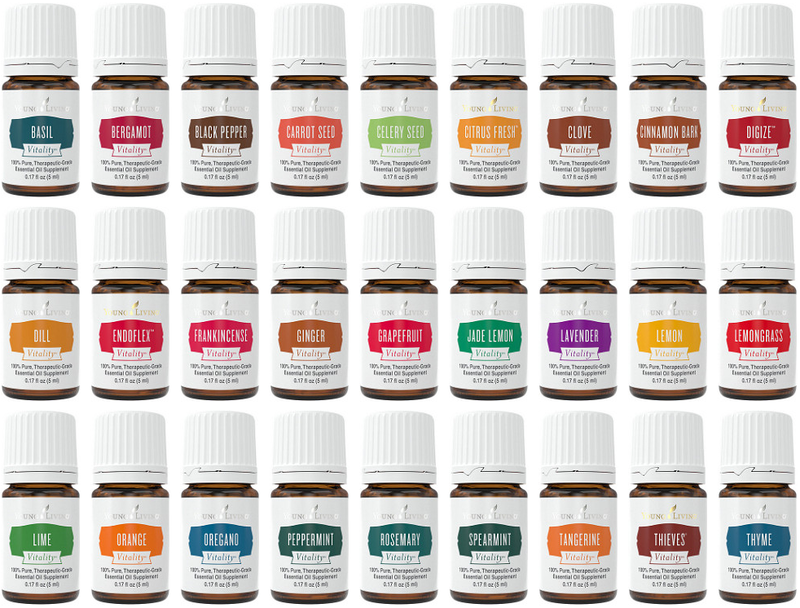 They have the Vitality line, a line of essential oils bottled and labeled for dietary use. They are FDA approved as dietary supplements, something other essential oil companies cannot say. Hint: this is what I used to create some of the yummy treats I made for last night’s chocolate, oils and wine night. *Increase the salt to 1/2 teaspoon if you use unsalted butter. Put all of the ingredients into a large bowl in the order in which they’re written. Stir, then beat the mixture until it’s smooth. Bake the brownies for 25 to 30 minutes, or until they’re just barely beginning to pull away from the sides of the pan. Remove the brownies from the oven; let them cool completely before cutting. Enjoy! This recipe yields about 2 dozen 2″ brownies.